Two- time Maine All-state selection at Hall Dale High School as well as the Gatorade Player of the Year and a Converse All-American in 1987. Rachel was a one the University of Maine’s greatest player. She was the North Atlantic Conference Player of the Year two consecutive years. While at UMO, Rachel was selected as a Kodak All-American in 1989-’90-’91. 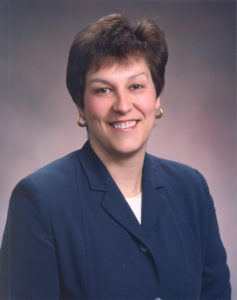 She was consecutive North Atlantic Conference Player of the Year in 1990 and 1991. Rachel later played professionally in France. She belongs to the Maine Sports Hall of Fame, the Univ. of Maine Hall of Fame, and the New England Basketball Hall of Fame. Her # 43 jersey was retired from the Univ. of Maine in 1993.